Today, once again, Israel’s secular courts came to the rescue of Jewish women. In a dramatic hearing at the Israeli Supreme Court, three judges ordered the city of Beit Shemesh to remove all signs limiting the freedom of dress or movement of women in public spaces. In the culmination of a five-year battle begun by four Orthodox women, each of whom had been physically assaulted in proximity to the signs, and during which the city reneged on its promises repeatedly, the judges made clear that further stallings and excuses would not be tolerated. According to the ruling, the signs, some of which dictate how women must dress, and others that tell women where they can and cannot walk, must come down by December 18, or Mayor Moshe Abutbol can be jailed for contempt. A street sign in Beit Shemesh calling on women to only enter if dressed modestly. The judges, Meltzer, Shoham and Mintz, declared not only that the signs must come down, but that the municipal police must patrol the area to ensure that they are not put back up. Indeed, he suggested including undercover agents to patrol the areas once the signs are taken down, in order to ensure that women are not harassed for being there. It is important to note that these signs hang above major commercial thoroughfares, where there are health clinics, shops and businesses, not “private neighborhoods.” And these signs are not simply ink on billboard. They are not quaint, symbolic notions with no real-world consequences. They are a marking of turf, a justification for violence and have lead to women and girls being verbally harassed and physically assaulted with objects, including rocks, hurled at them. A street sign in Beit Shemesh, calling for men and women to use separate sides of the street. Extremists use these signs to intimidate and bully, and an entire generation of youth is taught that if someone doesn’t look the way they think she should, intimidation and violence is an acceptable way of forcing the person into conformism. Before suggesting that this is hyperbole, it should be noted that what used to be four street signs, at the start of this lawsuit, are now eight. As a Beit Shemesh resident myself, I have watched the extremism grow worse. In a significant escalation, this year, teens walking through these areas on Shabbat to their volunteer assignments were met with insults and projectiles by dozens and at times hundreds of men, women and children. Not until their institutions and illegal buildings were threatened did the assaults stop. Women and girls are absent in circulars, health care clinic brochures or any official city publication. On some bus lines, women are expected to sit in the back. Graffiti against Israel Defense Forces soldiers and Zionists, attacks on soldiers and riots against the army have all increased. The women of Beit Shemesh have had no assistance in battling this trend. 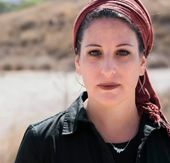 Though in the hearing, Abutbol claimed that he was against the signs, the judge read aloud an interview Abutbol had given on Kol B’Rama, an ultra-Orthodox radio station, where he clearly states his support for the signs. And indeed, he’s done precious little to bring them down and remove his city from the clutches of extremists. When the mayor finally acknowledged that the signs had to come down, he placed responsibility on the police, saying that he fears for the safety of the city inspectors at the hands of the extremists. The judges rejected this, ordering him to remove them all, using police as backup if necessary, or face fines and jail time himself. It is entirely possible that on December 18 there will be riots on the streets of Beit Shemesh. But this fight cannot stop and we cannot give in, because Beit Shemesh is the front line for Israel’s national battle against religious Orthodox fundamentalism. Our communities, and the future of Judaism, are at stake. This story "Orthodox Women Win Battle Against Modesty Signs" was written by Shoshanna Keats-Jaskoll.